The Radha Beauty Rosehip Oil is what I consider the best organic skin care product. Those unfamiliar with Rosehip oil need to know that this oil comes from the Rosehip seeds which is a flower that grows wild in Chile. This product became very popular due to the high amount of essential fatty acids, well-known to help regenerate and repair the skin. It is mostly used for help with scarring, burns, stretchmarks, wrinkles, dry skin and pigmentation (almost nothing, huh?). There aren’t many studies on Rosehip oil due to the fact that a wild plant can’t be patented, but the few studies that have been made show great results. There is a study by the Journal of Cosmetics, Dermatological Sciences and Applications on the Evolution of Post-Surgical Scars Treated with Pure Rosehip Seed Oil where they concluded positive effects of Rosehip oil on four different types of scars after 6 and 12 weeks of treatment. Rosehip oil has many other benefits too; it can be use on your hair to condition it and repair split ends. It can also help with cuticles and nails. It is also a great skin moisturizer and it is a product that can be used anywhere on your body. While it is an oil, it has no adverse effects on acne prone skin, you can alternate between your acne product and this, but I wouldn’t recommend mixing them together. Many people have claimed that it has helped with their acne, so it is certainly a good product to use while treating your acne. If the amount of reviews and positive feedback over at Amazon isn’t enough to impress you, know that Radha Beauty is a well-known brand with all their products having great positive feedback and reviews in the thousands. Another very important thing to realize is that their Rosehip oil is 100% pure and more importantly cold pressed, which according to a study by the Pharmaceutical Faculty at Pontificia University, Valparaiso, Chile cold pressing Rosehip preserved more their beneficial properties making this product a better bang for your buck. The 4 oz bottle is excellently packaged in a dark glass bottle to avoid direct light or heat affect the product. The dropper is sealed separately and can be used as a cap once you opened the bottle. They have it separately so there is no chance of leaking or damaging the dropper during shipping. Remember to always fully clean and dry your face or the area you want to apply the product, if you need more tips and tricks for washing and cleaning don’t forget to check out the Acne or Scars page. The 4 oz. bottle goes a long way, a good way to apply the product is by dividing the application into sections on your face. One drop can cover your left cheek, another one your right cheek, one more drop your forehead, one drop your nose and finally one drop for the area around your mouth and chin. That’s only five drops to get a great amount of product to cover your entire face. Unlike Acne products, Scar products take longer to give noticeable results, based on the study mentioned earlier you should use the oil twice a day for 6 to 12 weeks to see some good results. The product does leave a bit of an orange color on your skin that goes away after a while, either way see how it looks on your skin at night before wearing it during the day. 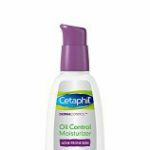 While this product is a great moisturizer I always recommend the moisturizer with SPF protection on the Red/Dry Skin page. Check out the Radha Beauty Rosehip Oil. You can’t go wrong with a product with this amount of positive feedback, reviews and actual studies proving its effectiveness. Scars, wrinkles, sun damage, stretchmarks, dry skin this product helps with all of them, why keep suffering when fixing your skin is a few drops away? It is a wonderful product well worth your time. As always if you have any questions or comments don’t hesitate to write and I’m sure this product will help you on your path to a Beautiful Clear Skin. I’m glad I found this article. I recently had a melanoma removed from my cheek which has left a bit of a scar from the procedure. I was reassured that I had nothing to worry about – the spot was really small and after a follow-up check, everything is looking good. I do still have the scar though! Do you think that this will reduce the scaring tissue (make it less visible)? It sounds like I’m in the wars, but I also have a very recent cut on my thumb which required 5 stitches. I know that the skin on the hand is a lot tougher than the face but will it help there as well? 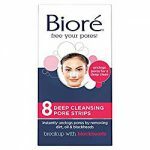 It will certainly help you with the scar, this stuff just works and since your scar is fairly recent it will help make it less visible even faster. The skin regenerating effects of Rosehip oil are very real and since it is all natural assuring no side effects, give it a try, you won’t disappointed, thanks for reading. I thought your page was really informative and easy to understand too. I didn’t know that this product even existed!? I like that fact that this product will help with the visual appearance of scars and that it’s all organic. You’re doing great! thank you so much for all this information. Thanks for showing some love, yes this product is amazing and I always look for great products that many people might not be aware of, yet are proven to work and have a great following. The science behind this product is sound and you will get results, thanks for reading. I really did not know the excellent properties that rosehip has to improve skin problems. I also find it surprising that a drop of this oil applied during a certain time can heal our skin. I would not hesitate to buy the product and thus prevent my skin from deteriorating day after day. Excellent post. Yes, sometimes is sounds kind of magical, but the research is there and the many people who have benefited from this product are real. There are a lot of great products that can help us with many problems and this one happens to have many benefits for our skin, it will certainly help you, thanks for reading. Yes, according to the study I mentioned, atrophy scars or know better as pitted/boxcar scars became less noticeable after 12 weeks of applying the Rosehip oil. It will take a while, but you will see some results, thanks for reading. This is a really good find, so happy to have read this. I’ve been looking for something to help reduce a surgery scar. But it looks like this would also be beneficial for dry skin and split ends, all good things. I think it’s an interesting comment that not a lot of research has been done on this product due to the lack of patent. It seems something like this should get more attention from the beauty and health industry. I will definitely be trying this out. Thank you! This product will sure help you with that, but depending on how deep the scar is and old it is, will affect the amount of time you might notice a difference. Just be persistent applying it and you will certainly see results. It is an interesting tidbit, which makes you wonder what other natural products are out there that are being ignored, I’m always on the look out, glad I can help, thanks for reading.